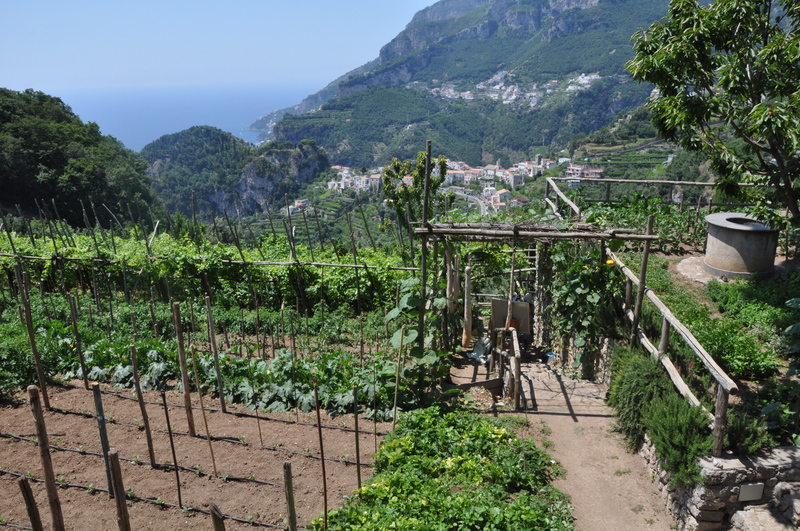 You didn’t think we only had five reasons to love the Amalfi coast, did you? Here are five more… in photos! When it was built in the 13th century, the Duomo of Amalfi, above, incorporated its earlier 9th-century structure, making this one of the most historic cathedrals in Campania. 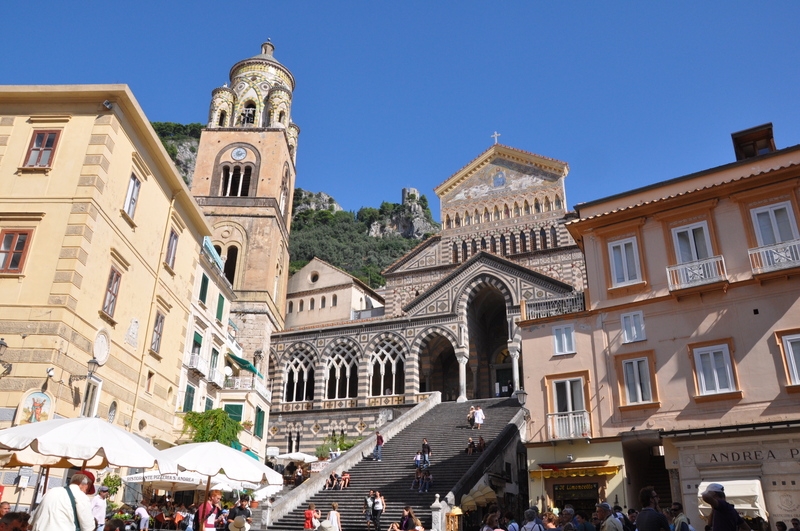 St. Andrew, the apostle and fisherman, is Amalfi’s patron saint—and in the 13th century, his remains were stolen from Constantinople and brought to the crypt of this duomo, where they remain today! As well as holy and historic, the cathedral is stunning, complete with a lovely, Moorish-style medieval cloister. As if the Amalfi coast weren’t paradise enough, there are flowers everywhere. 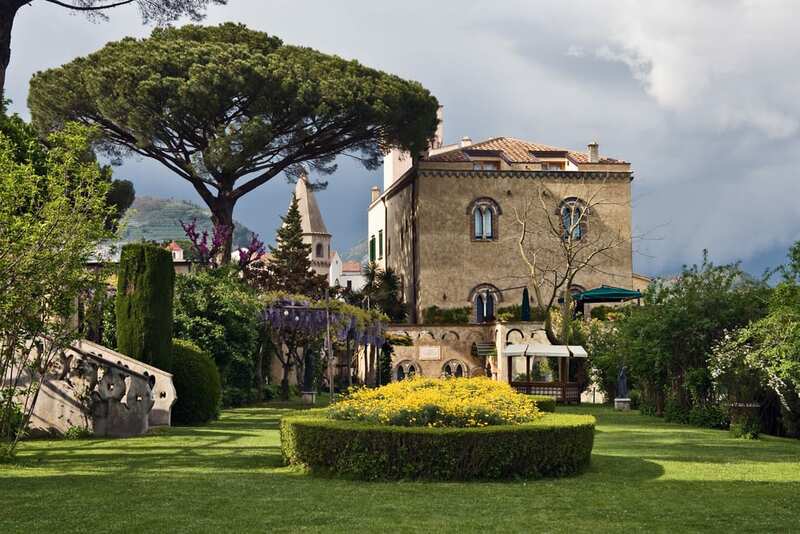 Two of our favorite gardens are in Ravello: the Villa Rufolo and the Villa Cimbrone, both of which pair gorgeous flowers with spectacular views of the sea. 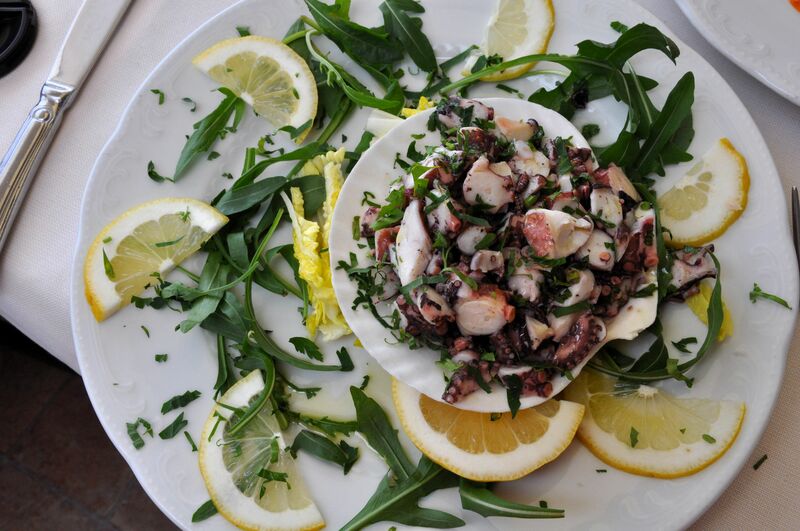 Another reason to love the Amalfi coast: the seafood! 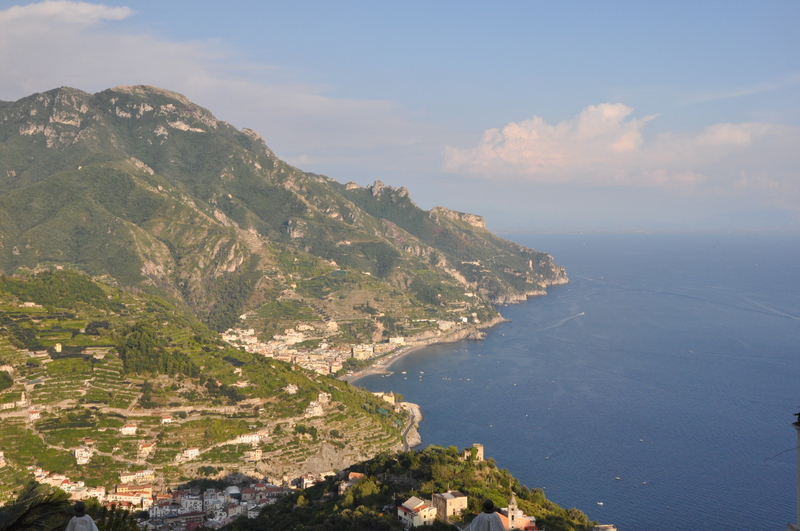 Along with limoncello, the Amalfi coast is known for… its seafood! There’s nothing like eating super-fresh fish while looking over the water it was fished from. Just remember that not all of the fish sold in the Amalfi coast’s restaurants actually should be eaten, so choose your seafood wisely. The Amalfi coast is famous for its spectacular views—with reason. 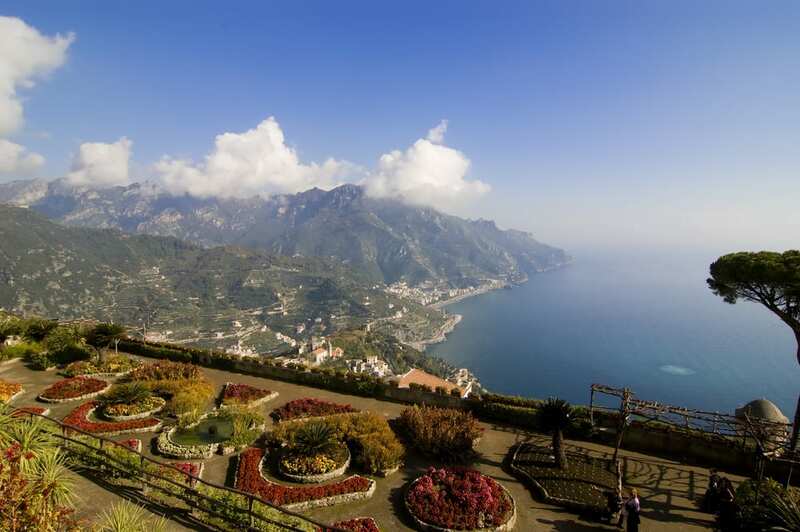 How can you not dream of waking up to views like this one (taken from Ravello?). 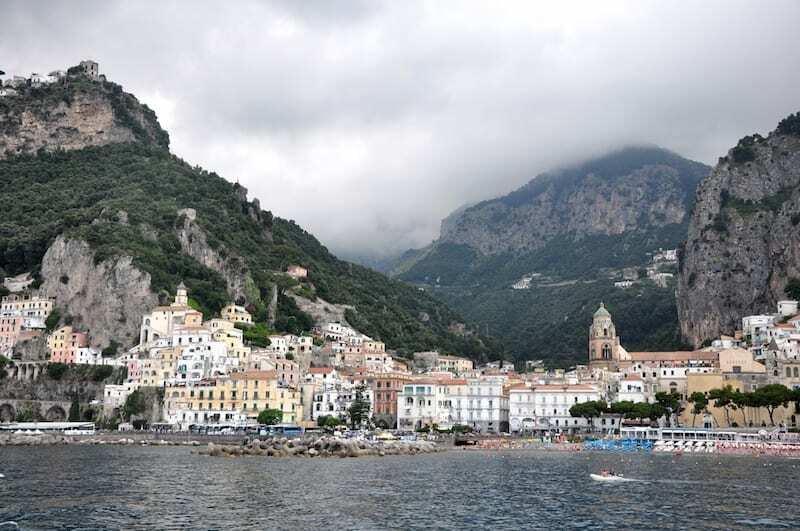 Although the Amalfi coast SITA bus gives you spine-tingling views of the coastline’s sheer drops to the sea, it’s from the ferry that you really see just how picturesque the towns are… even on cloudy days like this one! Another great ferry ride is the trip out to Capri, which is one of the best day trips on the Amalfi Coast.